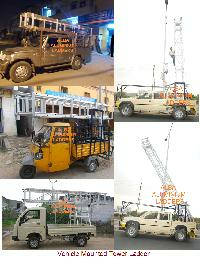 We are engaged in making available highly efficient Vehicle Mounted Tower Ladders to the length and breadth of the country and abroad. 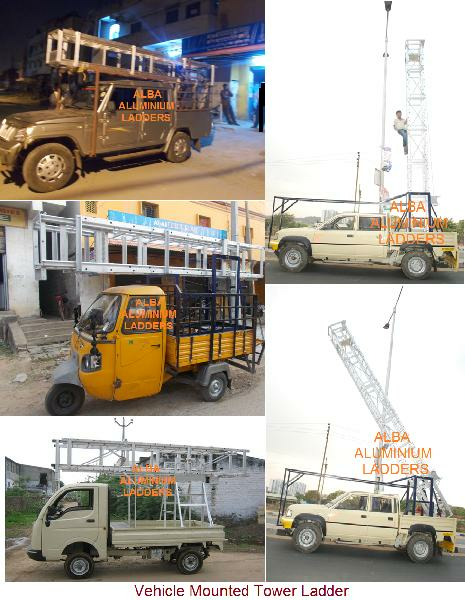 We are reckoned among the leading Manufacturers, and Suppliers of Vehicle Mounted Tower Ladders from Hyderabad, Telangana. 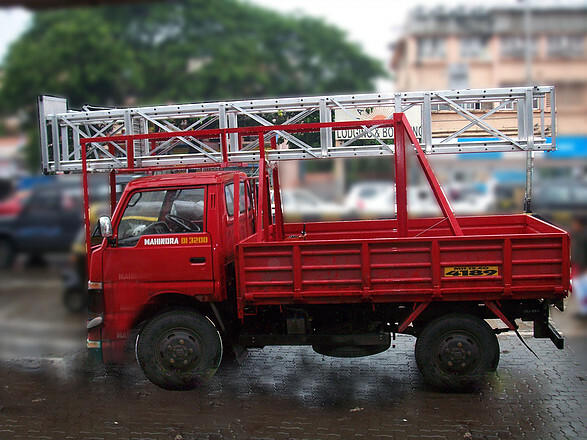 We fabricate the ladders from high-grade aluminum and define them by all the notable features. Their quality is ascertained to be high, and their price is quite inexpensive. Detail : It is made from sides of “C” section and steps 1” Dia. Non-slip corrugated tubing, completed with safety locks, tool tray, safety gate, cage platform, M.S. 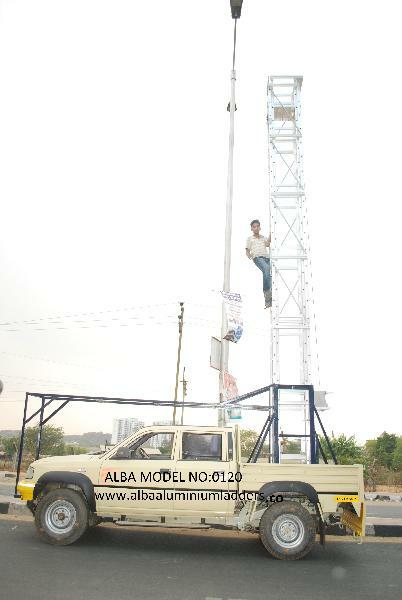 structure is provided to tilt the ladder from vertical to horizontal position or vice versa.